Three great albums from Glenn Shorrock. Available right away. 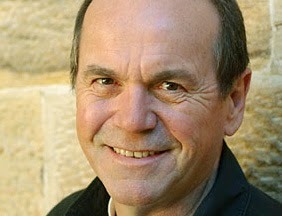 Glenn Shorrock, a self-confessed child of rock and roll, began singing in 1962 with a vocal group called The Twilights. By 1965, the Twilights became a six piece group based in Melbourne scoring hits with Needle in a Haystack, Bad Boy, and If she finds out. The Twilights won the 1966 ‘Hoadleys National Battle of the Sounds’ which gave them the opportunity to record in England at the famed Abbey Road Studios. That session produced further hits “Whats wrong with the way I live” “Young Girl ” and “9/50 ”. Axiom with Brian Cadd followed shortly after The Twilights disbanded, and went on to produce hits including Arkansas Grass and Little Ray of Sunshine. Axiom disbanded soon after moving to London in 1970. Glenn chose to remain in London as a session singer and songwriter joining a twelve-piece rock orchestra named Esperanto Rock Orchestra, as lead singer alongside 2 fellow Aussie's Janice Slater & Brian Holloway. "Statue Of Liberty" was included on their first Self-Titled album in 1973, predating LRB's version by 2 years. At the conclusion of 1974, Glenn returned to Melbourne to help form Little River Band as lead singer. Managed by Glenn Wheatley, Little River Band cracked the lucrative United States market in 1976, and began a string of eight Top Ten Hits in the U.S.A. and around the world. The band has sold in excess of 25 million albums, often being credited for opening the door for many Australian acts on the international circuit. In 1995, Glenn fronted Little River Band during their 20th year anniversary, three and a half-month tour of the United States. His songwriting credits include the international hits Help is on its Way, Emma, Home on Monday (co-writer Beeb Birtles), Long Jumping Jeweller, Shut Down Turn Off, My Own Way Home (co-writter Brian Cadd) and Cool Change. Glenn’s last CD was released in 2000: Spin Me ‘Round, co-produced with Brian Cadd.